Learn to make furniture and other useful items from coppiced wood with Simon. From carving wooden spoons to creating a stool or chair, you can make and take home your own hand-crafted green woodwork item! You can join in for a morning or afternoon or attend throughout the week. Booking will be available each day. “For over a decade, I’ve been turning trees into homes, useful things and educational experiences. I feel that wood is a medium of radical social transformation and change. The wealth there is to gain from working with trees is priceless, both in lessening environmental impact and increasing human resilience… It’s something I’m very passionate about. The magic that happens between “I couldn’t make that” and “I can’t believe I just made that” is so powerful, in transforming our ability to deal with life’s challenges. 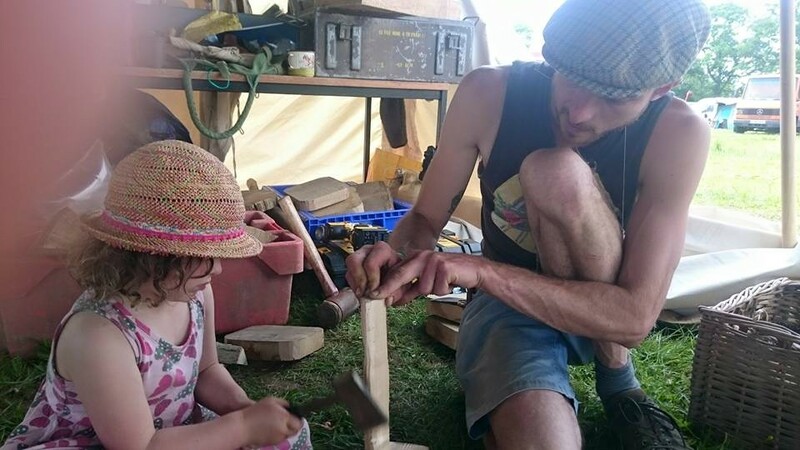 Simon has been teaching green woodworking workshops at various festivals for the last seven years. 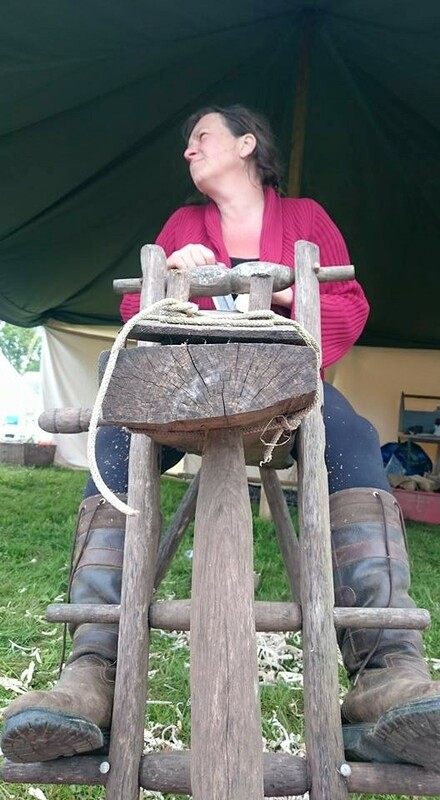 Simon co-runs Make in the Woods, a woodland craft centre in Blackawton, Devon, which offers various workshops, from one day to week-long courses, teaching the art of green woodworking.